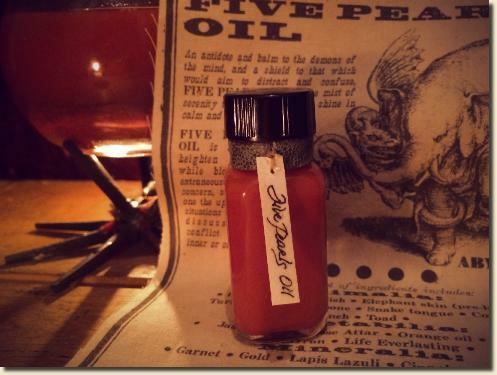 Five Pearls Oil is a tool to heighten perception while blocking out extraneous noise and concern, so as to give one the upper hand in situations of thought, discussion, and conflict - whether inner or outer. The oil is given the following potential uses: For calmness and reason; to allow one to contemplate something properly; for wisdom; for serenity in conflict; to awe another with silence when reason has been lost. 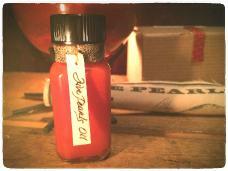 Price is for one half ounce bottle of Five Pearls Oil. If you are interested in greater amounts, please contact us.